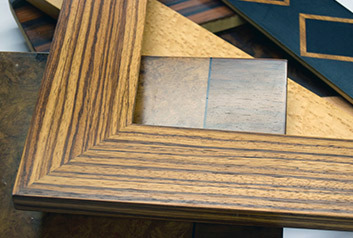 All of our frames are joined, prepared and hand-finished in our workshop using traditional techniques and materials of exceptional quality. 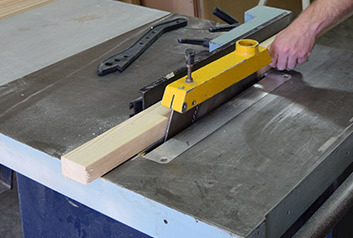 Joinery, using our wide range of mouldings or creating a completely bespoke moulding to your specifications. 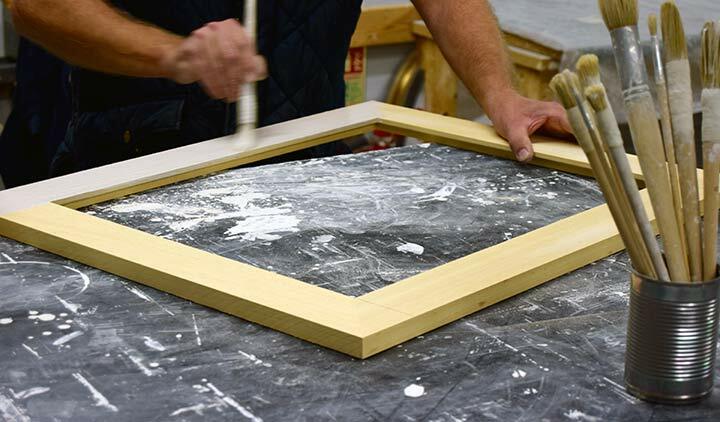 Many layers of gesso are applied by hand to seal and prepare the frame for smoothing using progressively finer grades of sandpaper. Different coloured clays are applied to the prepared surface of the frame, typically yellow followed by red. English Water Gilding requires particular skill. Gold leaf is the most highly prized of the gilt finishes.